Posted on August 27, 2014 by Sarvjeet Singh. 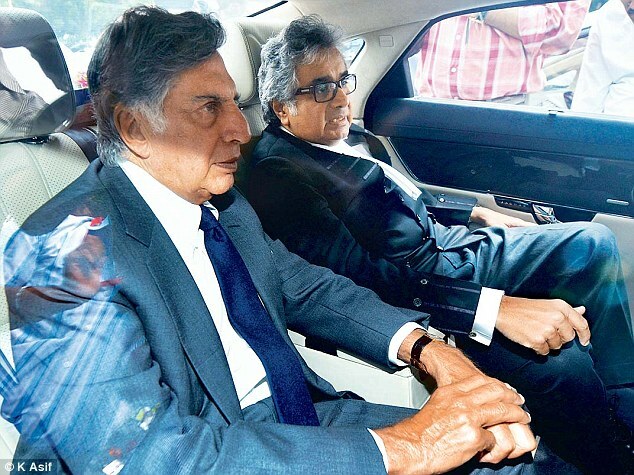 The writ petition (398/2010) filed by Mr. Ratan Tata against the violation of his right to privacy came up for hearing before a Supreme Court bench on 26th August 2014. According to the cause list the matter was listed before a three judge bench of Justices HL Dattu, SA Bobde and Abhay Manohar Sapre. However, due to administrative reasons the composition of the bench was changed from 3 to 2 judges. The new bench composed of Justices HL Dattu and SA Bobde agreed that the case involves important questions of law with respect to Articles 19 and 21 of the Indian Constitution. The bench has listed the matter for directions before a 3 judge bench on 9th September 2014. Mr. Tata had filed the petition after his conversations with corporate lobbyist Niira Radia were leaked and published in some magazines and on their websites in 2010. Tata has termed it an invasion of his right to privacy. The petition seeks to protect the privacy of individuals and asks the court to frame guidelines on conversations tapped by government agencies. A statement issued by Tata Sons at that time stated that “Mr Ratan Tata has filed this writ petition on a matter of principle. He believes privacy is an important right for every individual and is keenly following the progress of this case”. Senior Counsel Mr. Harish Salve is representing Mr. Tata in the matter. Tagged Article 19, Article 21, Niira Radia, Ratan Tata, and Supreme Court of India.